One contestant that truly exemplifies good taste and exquisite glamour with her wardrobe is Miss Egypt, Sara El-Khouly. She is the best dressed contestant of the pageant. Sara El-Khouly (right) wearing an Elie Saab at the Miss World Charity Dinner held in Shanghai. 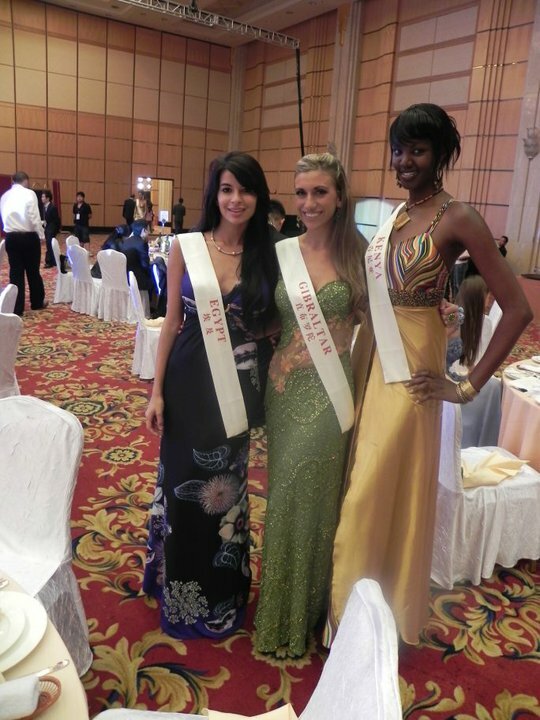 Sara El-Khouly (center) wearing an Toufic Hatab at the Welcome Dinner hosted by the Sanya Government. Sara El-Khouly (left) wearing a Roberto Cavalli at the Welcome Dinner hosted by the city of Ordos. Sara El-Khouly (left) wearing a Herve Leger during the Sanya Welcome Party hosted by the Crowne Plaza Sanya.